Welcome to the fifth installment in my Life Ionizers 2019 MXL series reviews. Today, I share with you my Life Ionizer MXL-11 Alkaline Water Ionizer with Hydrogen Technology review. That’s a mouthful, isn’t it? It’s been an exciting ride thus far, and the ride is nearing its end. I’ve worked my way up through the MXL series to number 11, with only the MXL-13 remaining after today’s review. A lot of you probably landed here wondering if Life Ionizers is a legit company and if their ionizers are a better buy than the much more expensive Kangen Water machine. Without going too deep into detail since this is only an introduction, I’ll tell you that Life Ionizers is indeed a trustworthy company. I think they do have their minor flaws just like any other company, but overall, they’re selling a legit product for a competitive price. First, let’s go over the MXL-11 features. Life Ionizers Company History: Scam or Legit? Here’s a photo of the Life faucet that’s included with the under counter model. The faucet allows you to control your water settings right from your sink instead of having to reach down below your sink to adjust them on your machine. As I mentioned in the Features section, Life does things differently with its filters than other leading water ionizer companies, which could be a good or bad thing for you. When you order your MXL-11, the Life team will match your home address to your local EPA water report to custom tailor filters for your area. Each year, your local water supplier must submit a water report to the EPA. This report allows Life to customize its filters to put extra emphasis on removing the pollutants affecting your water the most. To get an idea of how powerful Life’s MXL filters are, you can click here to see third-party lab test results showing that all tested contaminants reached undetectable levels. The three primary types of filtration media in Life’s filters are activated carbon, USA-made KDF for volatile organic compound and heavy metal removal, plus Vitamin C Ceramic Block®. Average filter Life for MXL filters is 6 months. If you have hard water, an inexpensive whole house filter will prolong the life of your ionizer filters and help to avoid buildup inside your machine that could require a citric acid cleansing. A second option is a three-stage prefilter system that will get the job done. You install this system on the same water line as your ionizer before your ionizer. Do you have an existing reverse osmosis filtration system? Plain reverse osmosis water is not compatible with a water ionizer because it’s void of minerals. Your water needs to have some minerals in it in order for it to be ionized. The best solution is to add an inline remineralization cartridge to your reverse osmosis system. Once the water is remineralized, it can then undergo the ionization process successfully. Depending on which model you choose – under counter or countertop – installation of you MXL Ionizer is mostly straightforward. Keep in mind, the installation of the countertop model is easier than the under counter model. With the countertop, the main steps are cutting the water lines to the proper length and installing the included diverter at your sink faucet. Be sure to account for the footprint of the machine before you buy to ensure you have enough room for the unit. The footprint of the MXL-11 measures 12.5″ Width x 6.25″ Depth. With a bit of patience and determination, most people can install the under counter version. I think the only obstacle that could thwart the efforts of the average handy person is a lack of a hole at your sink to fit the faucet. You may want to hire a local plumber to cut the hole for you and do the entire installation to make sure everything runs efficiently. 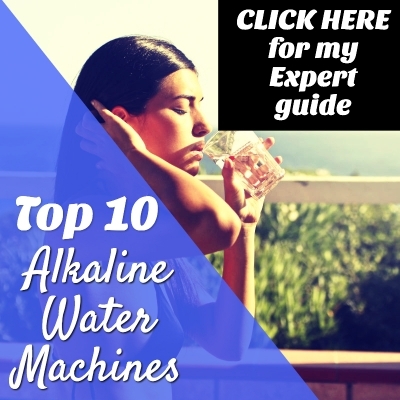 I’ve done many hours of research on water ionizers and alkaline water machine companies, and I’ve concluded that Life Ionizers is a legit company. They’ve been in business since 1996, they manufacture their ionizers in an ISO-certified facility, and they have hundreds of positive reviews written by verified buyers on Trustpilot. I also understand that every company has at least a handful of honest negative reviews. I’ve noticed reports claiming that Life Ionizers is a scam company, and do not buy their ionizers, but a lot of these reviews appear to be planted. The ionizer industry is a competitive one, and there’s a lot of back and forth bashing between Enagic’s Kangen brand and other leading brands. The best water ionizers are made in South Korea and Japan and are certified medical devices. TyentUSA, Life Ionizers, AlkaViva, and Enagic Kangen all manufacture their ionizers and parts in Japan or South Korea. The reason I made this site is to help you save time because I’ve already done all the research for you. I’m a college grad who graduated from Clemson with honors. I like to think I know what I’m doing at least half of the time. The point is I wouldn’t include an ionizer on my site I didn’t think was legit. I do believe in the healing power of alkaline ionized water, and I think most of the healing stems from better hydration. I drink alkaline ionized water every day, throughout the day. It’s important to avoid buying into lofty claims and realizing that better hydration alone is what creates most of the alkaline water benefits. After all, our bodies are made of mostly water. Here’s an interesting number: our brain and heart are composed of 73% water. A wife reported that she and her husband have been experiencing several health benefits including no flu, weight loss, more energy, and no more body & face acne. One woman spent over a year researching water ionizer companies before deciding to invest in a Life Ionizer. She said she hasn’t felt so good in years, and the nagging aches in her shoulder have subsided. She also reported increased energy. A handful of negative reviews complain about waiting on filter replacements. Life advises buyers to stock a replacement set of filters to avoid any downtime. Another woman who brews kombucha wrote that all regular tap water “doesn’t taste right anymore” since bringing a Life Ionizer into her home. A lot of owners reported that installation is easy, and customer service is helpful. I must say I’m impressed with Life’s new 2019 MXL series. I believe the MXL series ionizers are some of the best currently on the market, and the price is competitive compared to Tyent USA and AlkaViva. I know a lot of you have probably been sold on the Enagic Kangen Water machine, and I can only say, do your research before you spend $1000s more for the same equipment. If you read too many reviews, you’ll start going in circles instead of starting your alkaline water journey. The ionization process isn’t rocket science. The most important buying factor is making sure you buy from a company that uses top of the line platinum-coated titanium plates in its machines. You also want to buy an ionizer with automatic molecular hydrogen infusion to get those added health benefits. All Life MXL series ionizers boost molecular hydrogen. Life Ionizers, Tyent, and AlkaViva are all trustworthy brands, and their ionizers are all featured on my site. Go to the menu at the top of the page and click on any of those brands to read more of my helpful reviews. The bottom line is I give the Life Ionizer MXL-11 a thumbs up 👍. Buy a Life Ionizer MXL-11 with confidence you’re putting your money into a legit company that stands behind its product with a lifetime warranty on parts and labor.